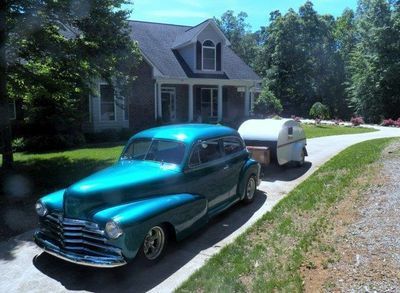 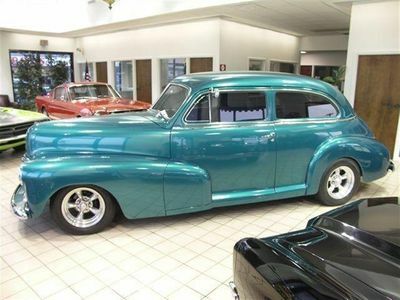 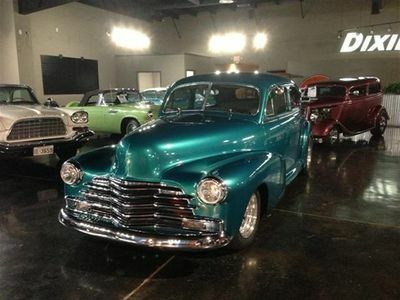 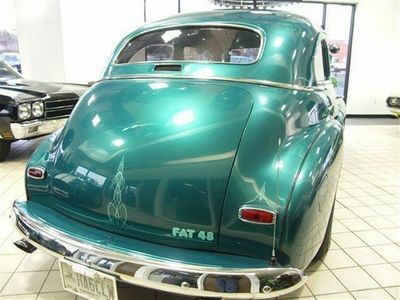 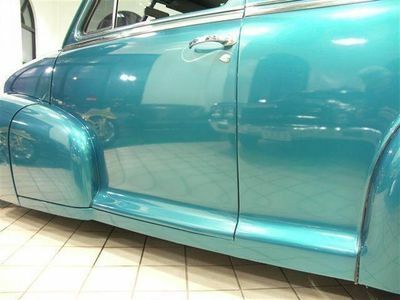 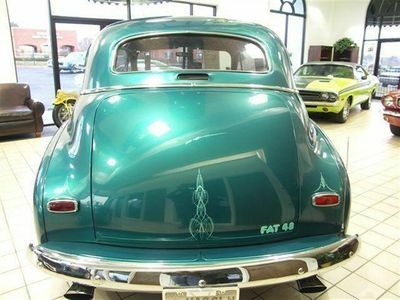 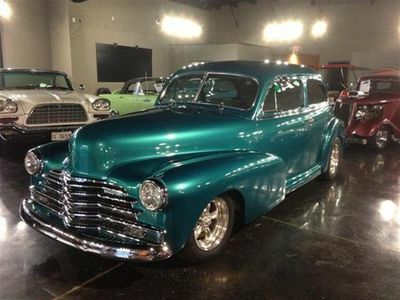 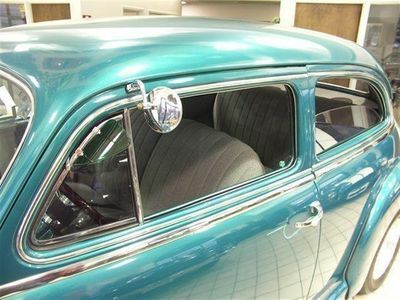 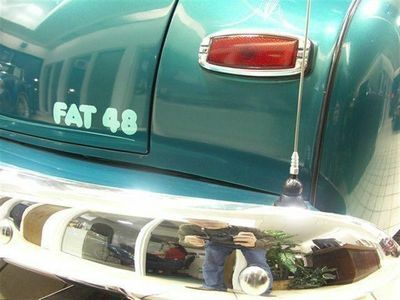 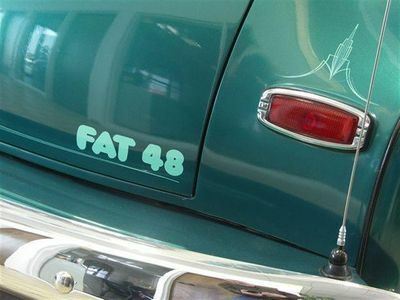 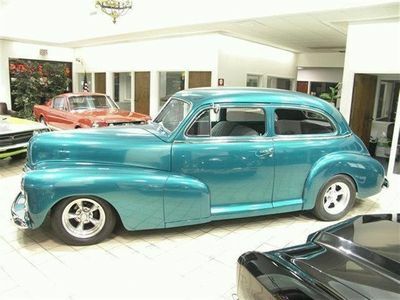 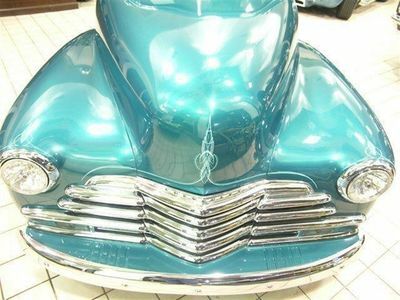 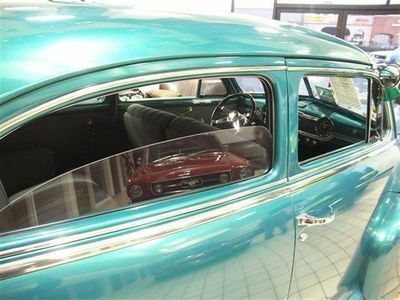 1948 Chevrolet Custom Street Rod, 2 Door Fat Boy Fleetmaster Town Sedan, "Fat 48"! 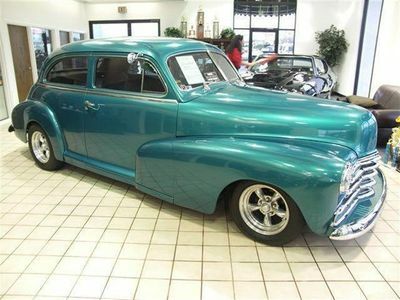 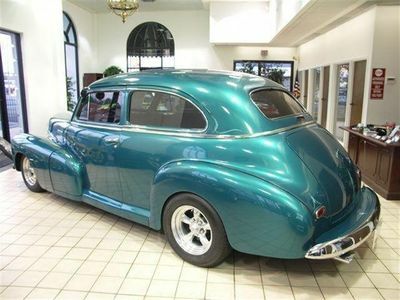 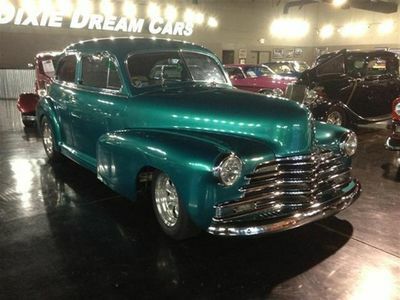 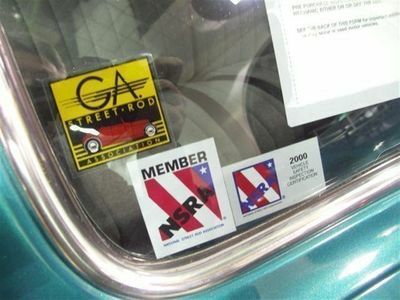 One of the best quality built, best running and driving Street Rods you will find! 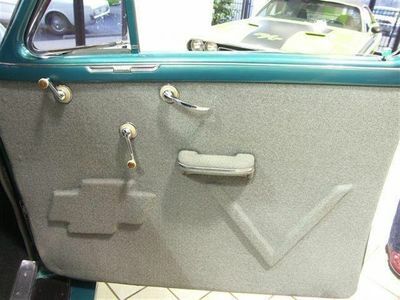 This baby has all the modern upgrades and comforts you would expect. 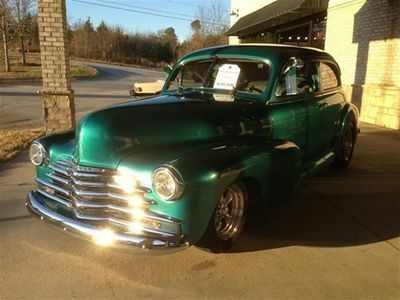 Keep scrolling down to see up to 100 photos. 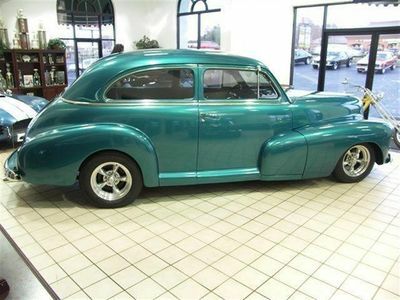 Hop-in and drive this sweetheart anywhere across country, she's ready when you are! 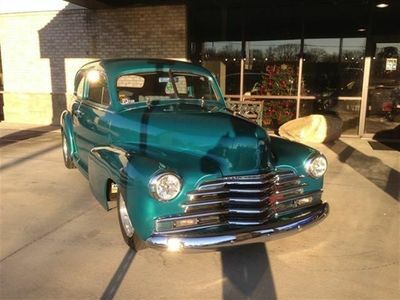 Looks, Dependability, Power, and Comfort. 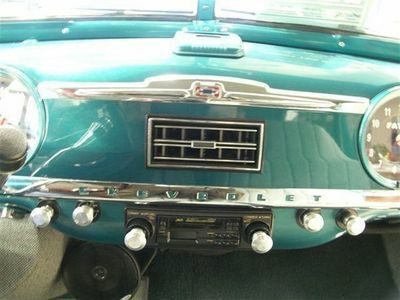 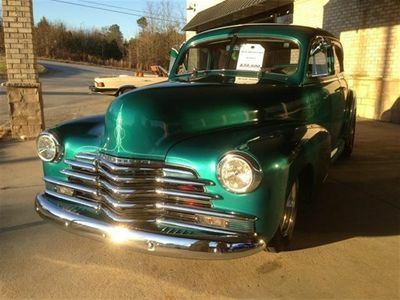 This "post-war" Chevrolet has it all. 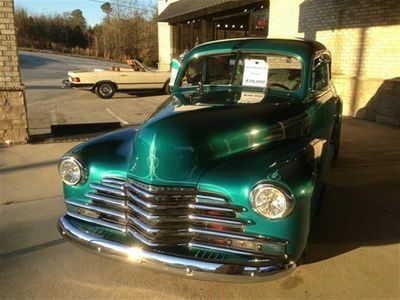 She has won many awards including a "Super Chevy" in Atlanta! 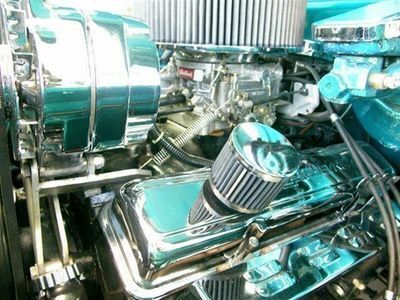 She Runs Cool and Blows Cold! 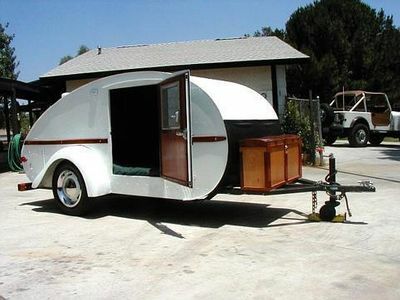 Grab your honey and drive across country! 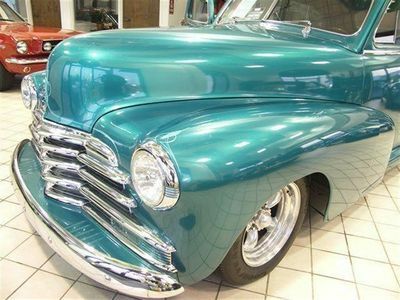 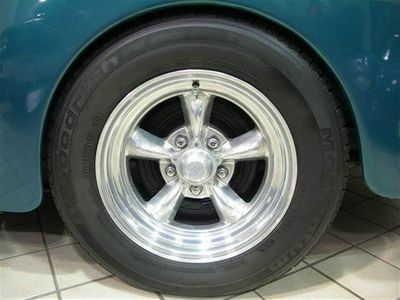 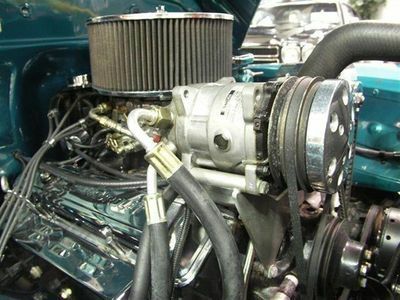 Incredibly, this Rust Free Chevy had only 66,000 original miles on her when she was Modified in 1997. 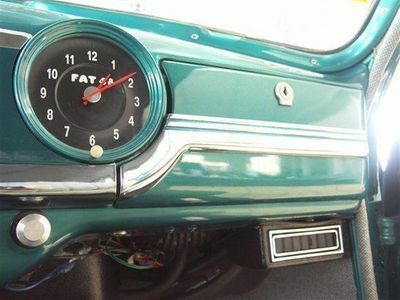 She has Low miles on her since her modification. 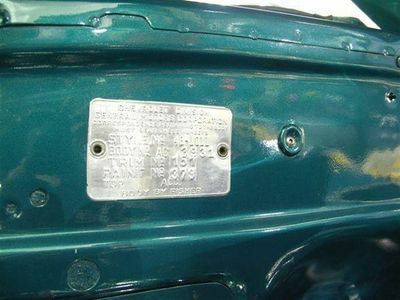 She was Bought New in Rome, Georgia and had ONE owner until 1998. 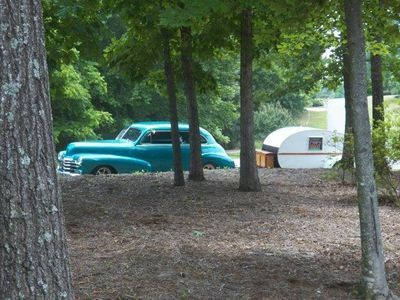 This beauty is a true Southern Belle having lived in the heart of Dixie all of her life. 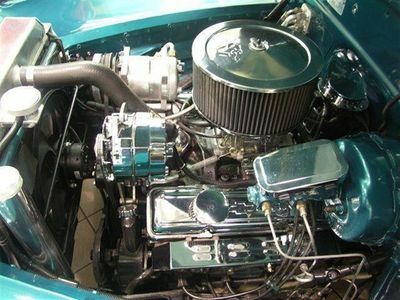 She has a 350ci 260 Horsepower stock GM crate motor that runs smoothly and powerfully. 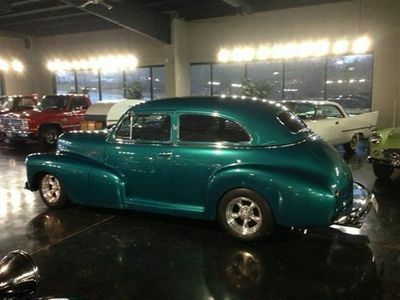 She has plenty of get-up-and-go for around town and maneuvers effortlessly on the interstate at cruising and passing speeds. 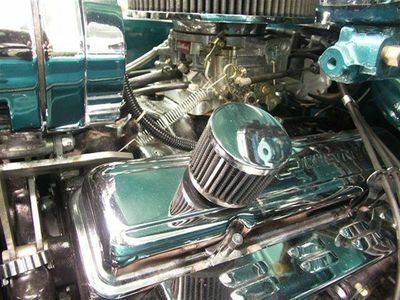 Her original 3-speed manual gearbox with column shift has been upgraded to a dependable GM 350 Automatic 3 speed transmission. 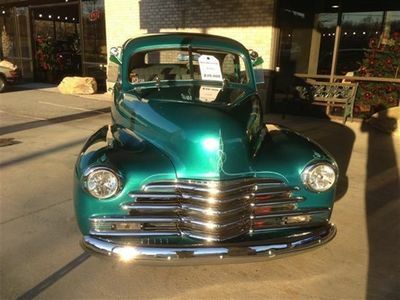 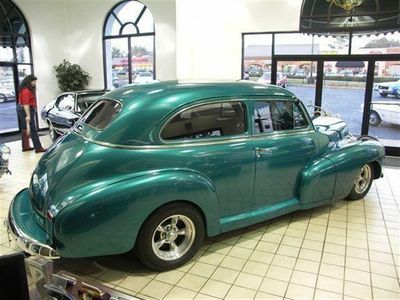 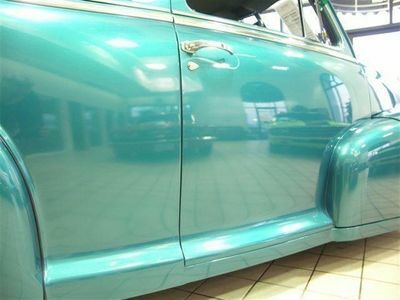 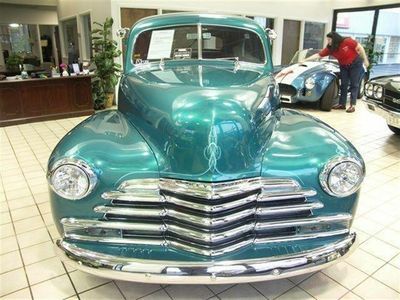 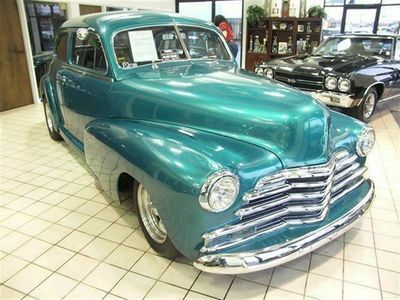 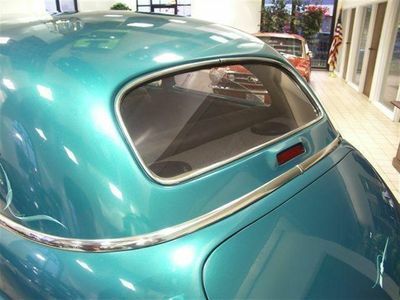 She has gorgeous Flowing lines and Features a Bright "Aqua Green" exterior tastefully accented with bright low, wide Chrome grillwork, Chrome bumpers, and Chrome trimmed headlights that smoothly blend into her two large front fenders. 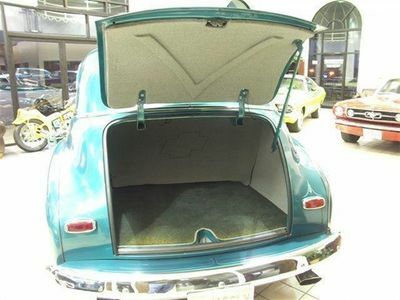 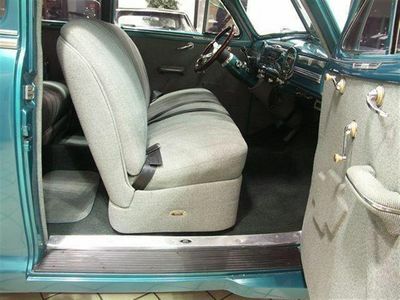 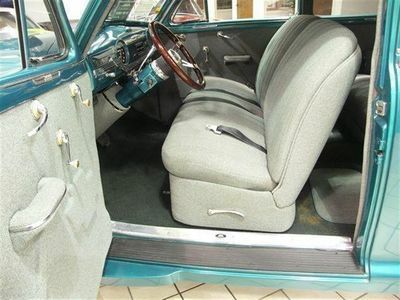 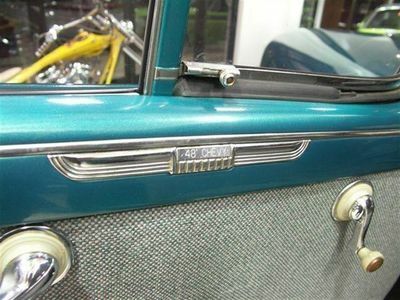 Open her up and find custom Tweed Mint Julep upholstery with Sculpted Chevy bowties everywhere. 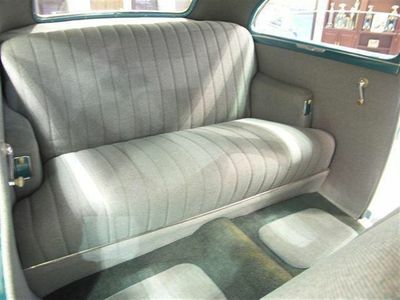 Comfortable bench seats with thick cushions make you feel like you never left your living room couch. 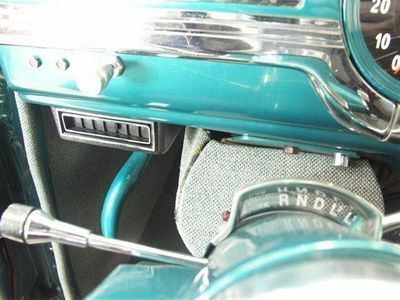 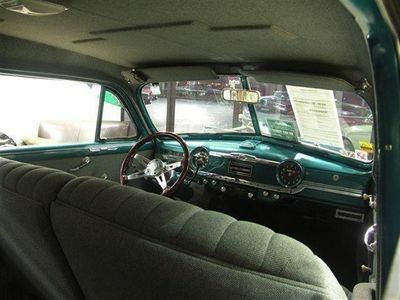 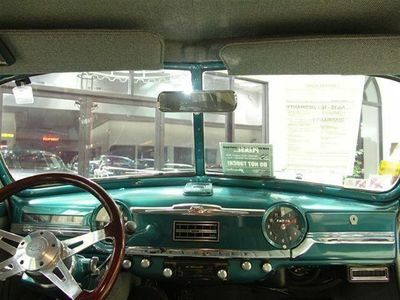 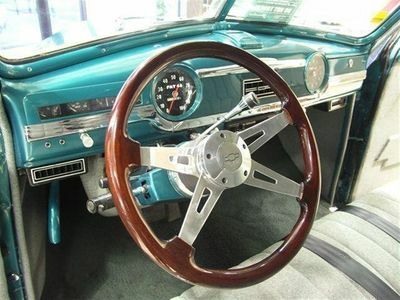 Her Original Optional extras included a radio, a heater and defroster, clock, and a cowl-mounted windshield washer, but she has had definite upgrades since 1948. 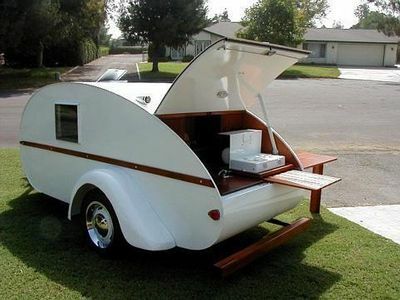 **This Baby Runs COOL ANYTIME - ANYWHERE!! 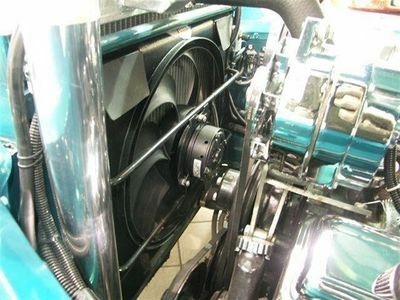 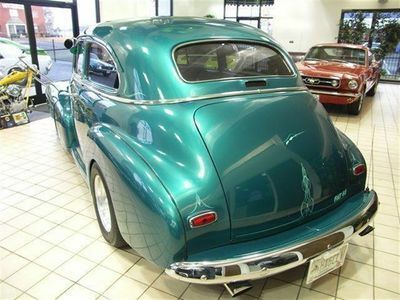 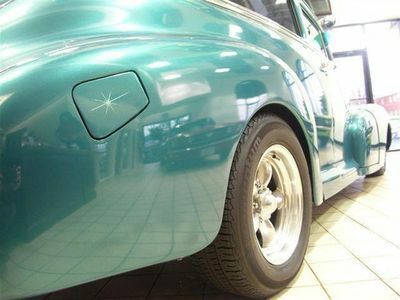 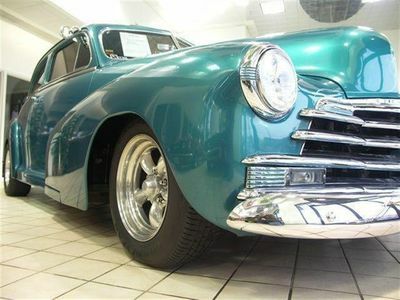 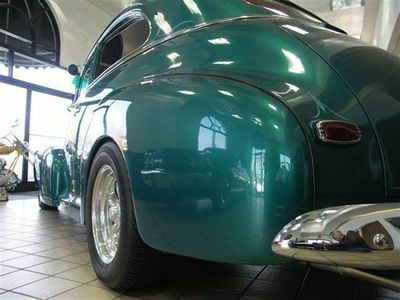 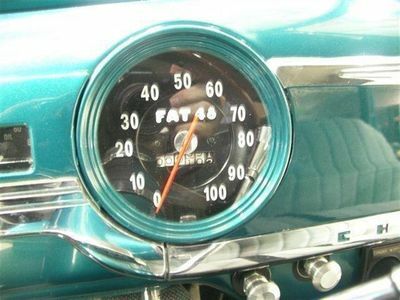 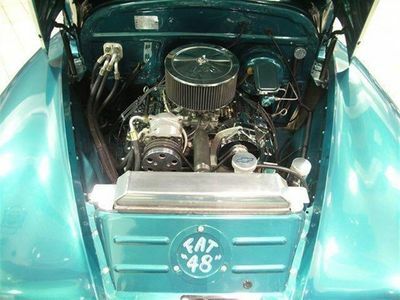 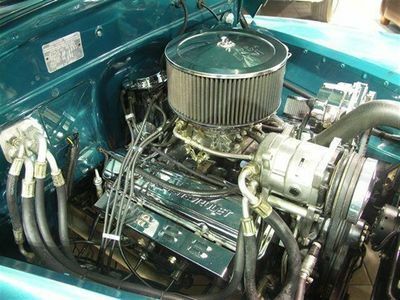 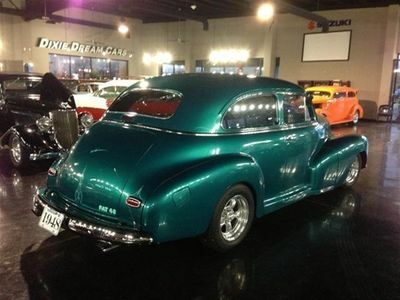 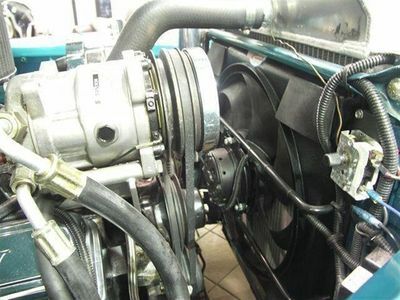 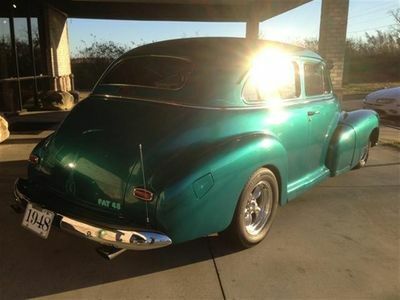 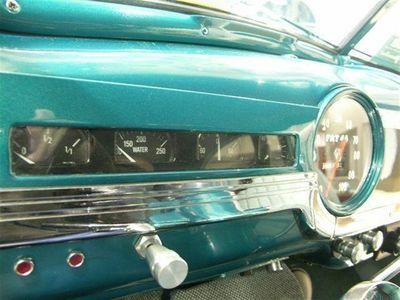 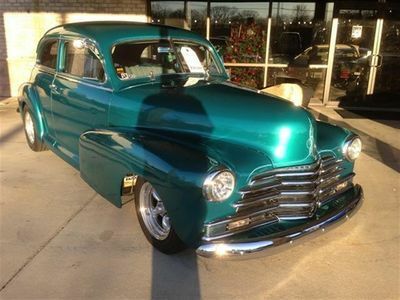 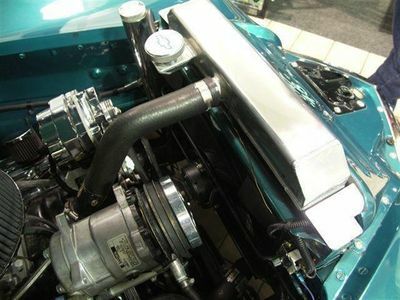 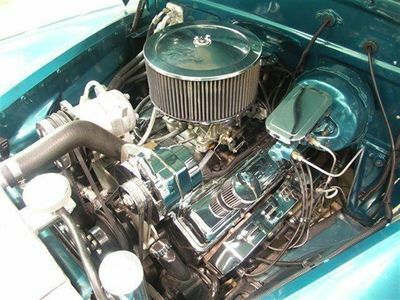 Fuel, Amp, Temp and Oil Pressure are "VDO"
Photo Album of Car Being "Built"
This Gorgeous Green Custom Rod is very dependable and extremely comfortable! 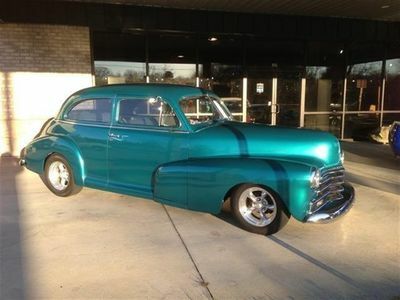 She runs cool in heavy traffic on the hottest summer day and on 87 octane gas! 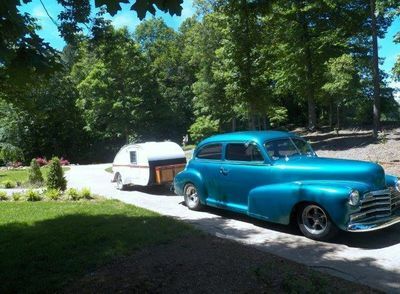 She is good for Show, Cruise-Ins or Cross-Country Travel. 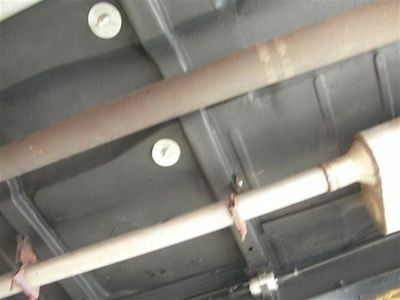 She has always been garaged and covered. 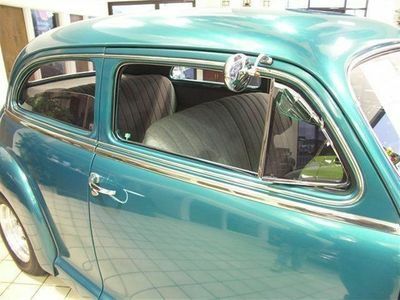 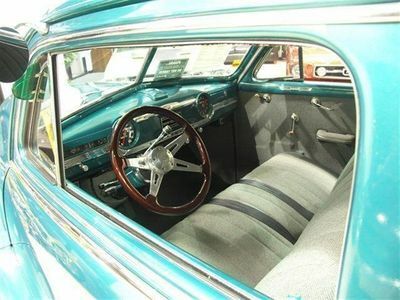 The Series DK Fleetmaster, which replaced the "prewar" Chevrolet Special Deluxe, was the mid trim level model in the 1948 Chevrolet range. 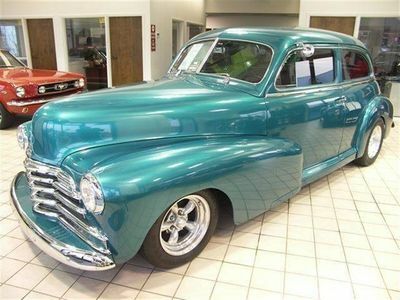 This is an Easy to Enjoy and very Streetable example Classic American Chevrolet Automotive History! 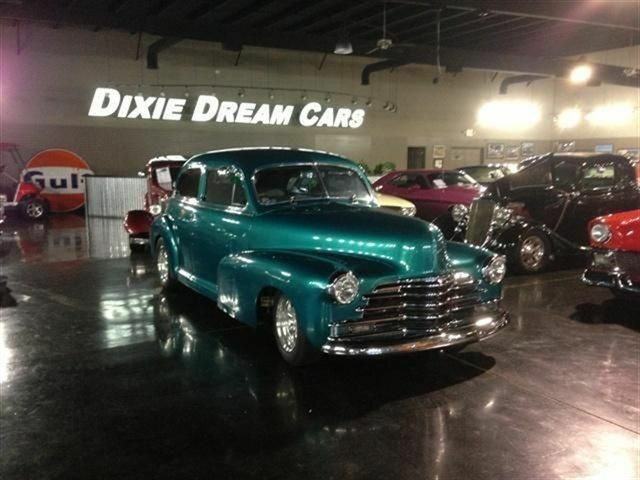 Email, Come by or call today for your chance to own your Dream Car! 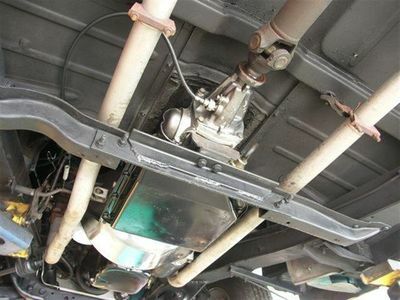 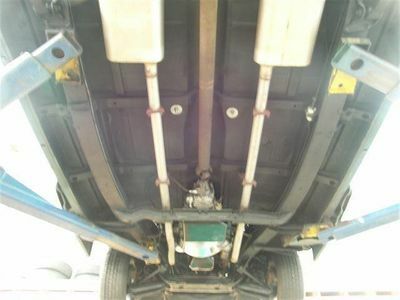 Note: Chrome Manifold covers have been removed since pictures were posted. 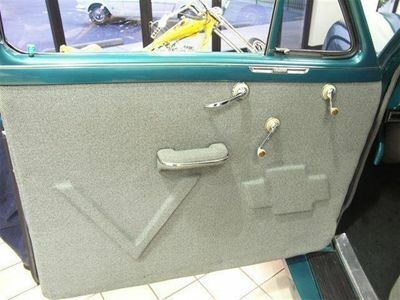 Windshield wipers removed, but included. 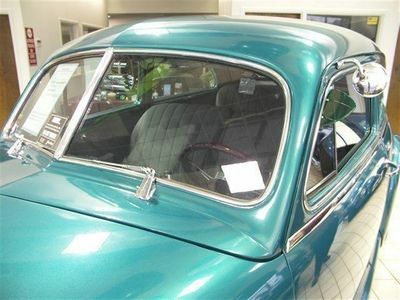 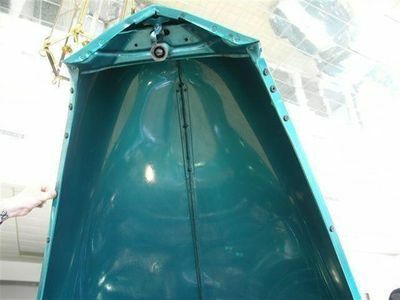 Rainex applied to windshield.